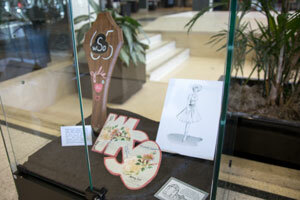 The exhibit recognizes faculty, staff and students who have made significant contributions to the university as part of Women’s History Month. Women have always been a critical part of Texas Tech University. It may seem like an odd fact to point out in 2016, but when the university was established in 1923 as Texas Technological College, the idea of a coed higher learning institution was still relatively new. At Texas Tech, equality was essential. In 2014, the Texas Tech University Archives began recognizing the female faculty, staff and students who have made significant contributions to the university as part of Women's History Month. The annual exhibit, “The Women Who Shaped Texas Tech,” will open at 3:30 p.m. Wednesday (March 9) in the University Library's Croslin Room. Terri Duncan, wife of Texas Tech University System Chancellor Robert Duncan, will speak at the opening about the importance of celebrating women's history. The 2016 honorees include Marsha Sharp, former Lady Raiders basketball coach; Maxine Fry, the first female student body president; Hortense Williams Dixon, the first African-American to obtain a doctorate from Texas Tech; Anne Lynch, the first female Masked Rider; and Edna Gott, the first woman to achieve tenure in the Department of Economics and a founding member of the Women's Studies Program. Sharp is excited to be included among other Texas Tech women she highly respects. Part of the exhibit, located in the Southwest Collection building, will focus on the six women selected for this year's exhibit. 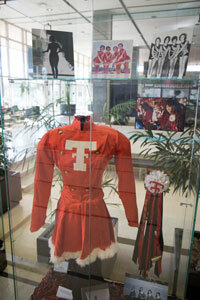 Another part, housed in the Croslin Room, will feature a large collection of artifacts, clothing and photographs related to the women of Texas Tech. It's the first year that the exhibit has been expanded to two locations, Whitfield said. Researching and verifying information about the women and minorities at Texas Tech is not always an easy task. Finding information on early trailblazers at the university is hard when it wasn't documented at the time, Whitfield said. But the staff in the University Archives is working diligently to fill in the gaps. “We have a long-standing history of diversity that's there if you can find it,” she said. 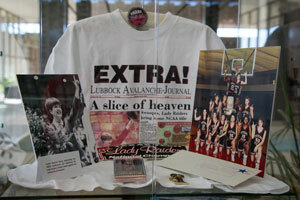 Those included in the exhibit were not only groundbreakers at Texas Tech, Whitfield said. Women like Lucille Graves, the first African-American student admitted to the university and an exhibit honoree in 2015, went on to make an impact in their local communities. The school, Mary and Mac Private School, operated from 1954 until the 1990s. Last year, a historical marker was placed at the former school's location in east Lubbock. The exhibit runs through May and includes 11 exhibit panels featuring the honorees and six oversized posters of women who have realized major university milestones. Whitfield encourages members of the Texas Tech and Lubbock communities to walk through the exhibit, which is open during Library hours. 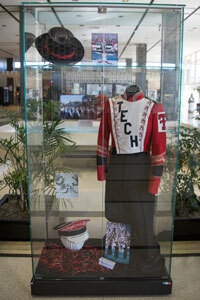 Biographies of all the women included in the exhibits are available for viewing on the Notable Women from Texas Tech History page.